In my video below, I went shopping in the Express Bus Terminal and Dongaemun Market in the same day. Hence why they’re included in the same video. However, I wanted to make separate posts about them so I could focus on tips and information for each. This post is going to be about my experience while shopping in Dongdaemun Market while I was staying in Seoul, Korea! Dongdaemun Market is…not really a market in my opinion. Lol. When I think of markets, I think of fresh fruits, homemade goods and cute little boutique shops. Maybe I’m crazy.. which is a good possibility. 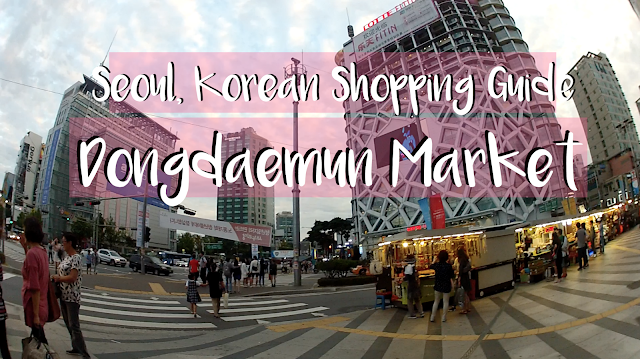 Dongdaemun is where there are lots of department stores, shopping malls, and some outdoor booths and stalls. The shopping malls and department stores are MASSIVE and are sometimes 14 stores high! Or more! This is also where you can go night shopping because the stores tend to stay open really late! To go to Hello apM, which is where I went shopping in my video, here are the directions by subway! – 100 meters from Exit 4. This is another area where it’s best to shop with cash! In the big shopping malls (where there are vendors that own their own booths) you can usually haggle. 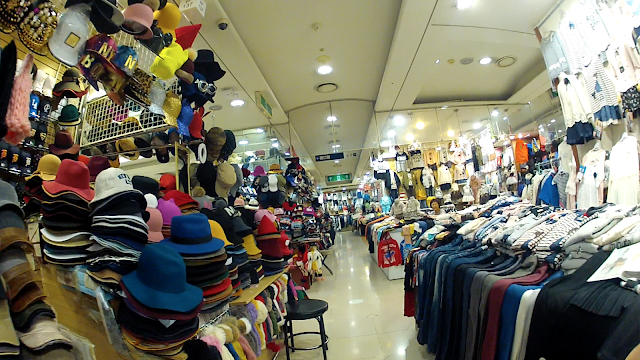 However, if it’s already really cheap (say around 5,000-20,000 won) you’re less likely to be able to haggle. The vendors consider this cheap already and aren’t usually willing to budge. There are a couple major shopping malls. This includes Doosan Tower, Migliore, Freya Town and Hello apM (which is the one I visited in the video!). In my opinion, once you’ve been in one of these and explored a little bit, you’ve seen it all. They’re all pretty similar inside and again, in my humble opinion, not worth spending the time to check out every single one! If crowds are a concern for you, these big shopping complexes are great because things are so spread out! 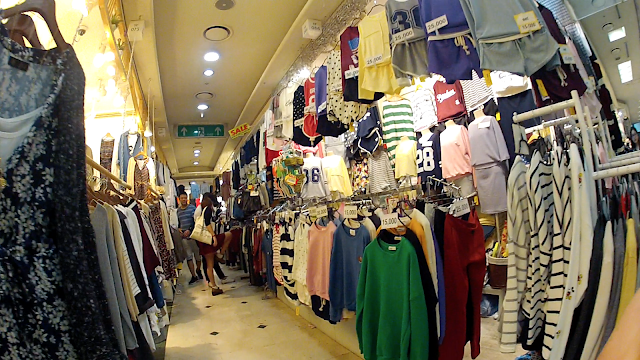 You won’t feel too claustrophobic because, as you can see in my video, there’s a lot of area to walk around in!